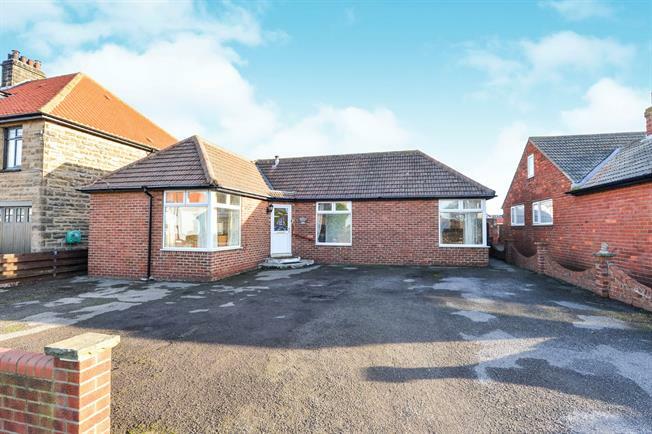 2 Bedroom Detached Bungalow For Sale in Whitby for Guide Price £290,000. This delightful bungalow offers good sized accommodation and sits on a sizable plot with gardens to the rear and driveway to the front with parking spaces for several vehicles. There are recently refurbished kitchen and shower room with contemporary fixtures and fittings. There is a cosy lounge with patio doors opening into the rear enclosed garden, a delightful room winter and summer. The kitchen opens into a separate dining room making this a brilliant space for entertaining. To the rear there is a useful utility with plumbing for a washing machine and space for a dryer. This property really does have to be seen to appreciate the accommodation and the fabulous location.